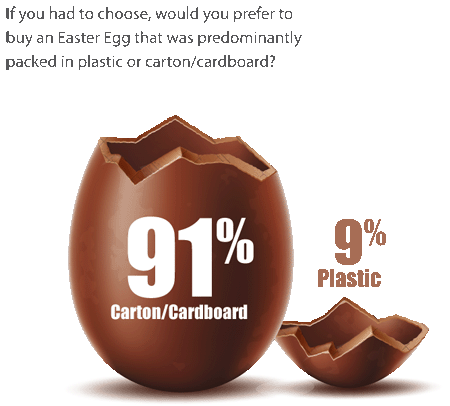 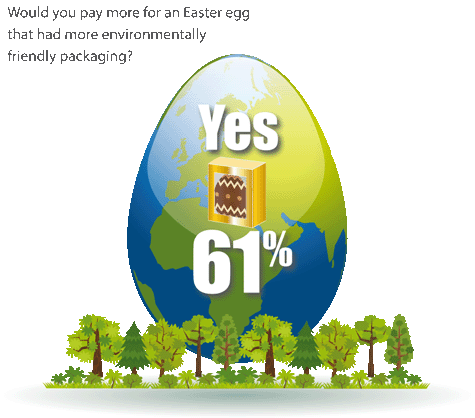 According to a new survey, conducted amongst 2,030 UK consumers by Censuswide, over 6 out of 10 (61%) people said they were prepared to pay extra for Easter eggs that had more environmentally-friendly packaging, with nearly three quarters (76%) of millennials (people aged 19-29) prepared to pay a premium. 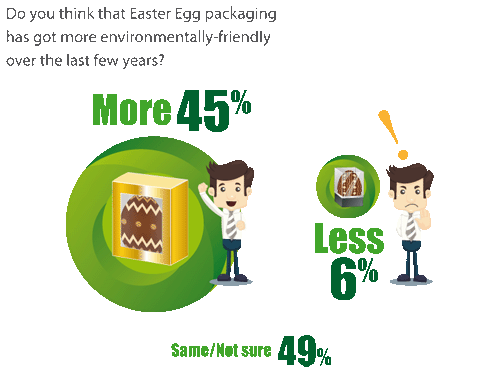 Tony Hitchin, General Manager for Pro Carton, the European Association of Carton and Cartonboard Manufacturers commented: “These results, show how important the packaging material can be in helping consumers make their purchasing decision. 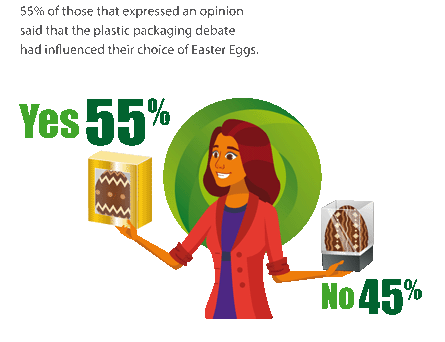 Consumers understand that cartonboard packaging is renewable, recyclable and biodegradable and clearly prefer it to less sustainable alternatives.